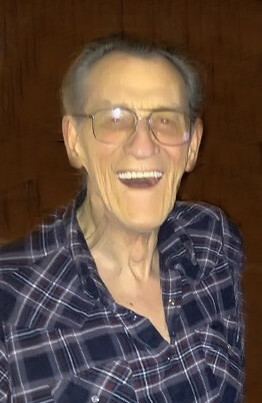 Billy Ray Flick, age 77, lifelong resident of Tecumseh, passed away Thursday, March 28, 2019 in Shawnee. He was born October 26, 1941 in St. Louis, OK to William B. and Helen I. (Postlewait) Flick. Billy attended Tecumseh High School and graduated from Seminole State College. He married Betty Carter on November 17, 1962 at the Tecumseh Assembly of God Church. Billy proudly served in the United States Army from 1959 to 1962, spending 2 years in Germany. Following his military service he worked at Tinker Air Force Base as an aircraft welder until his retirement in 1989. He was a member of the Tecumseh American Legion. Billy was an avid hunter and fisherman. He was a jokester, always joking around and doing the “Ham-Bone”. His wife Betty was the love of his life and his kids, grandkids, and great grandkids were the focal point of his life. He was preceded in death by his parents; and great granddaughter Lyndsey Kabalan. Those left to cherish his memory are his loving wife, Betty, of 56 years; 2 daughters and 1 son in law, Connie and Jimmy Joe Rodgers and Deanna Cox, all of Choctaw; 1 son, Terry Flick of the home; 6 grandchildren; 5 great grandchildren; 2 sisters, Patsy Youker and Janice Flick; 1 brother, Larry Flick; and many other family and friends. Visitation will be from 1:00 p.m. to 7:00 p.m. Sunday, March 31, 2019 at Cooper Funeral Home. Service will be 2:00 p.m. Monday, April 1, 2019 at Tecumseh Assembly of God Church with Reverend Bill Landra, Countryside Church of God and Pastor Don Jonker of Tecumseh Assembly of God Church officiating. Burial will follow at Tecumseh Cemetery under the direction of Cooper Funeral Home of Tecumseh.